Jiu-jitsu.News: 2018 Worlds: The champions and big names signed up! 2018 Worlds: The champions and big names signed up! With the end of the sign-up period for the IBJJF’s 2018 BJJ Worlds, the intrigue has ended and now can see a full list of whom to watch among black-belt adults in the competition, which starts on May 30th. World champions and well-known names from the international circuit will be in the mix alongside new faces that have shown their worth throughout the season. We can point out Marcus Buchecha — the sitting absolute world champion and Keenan Cornelius right off the bat. 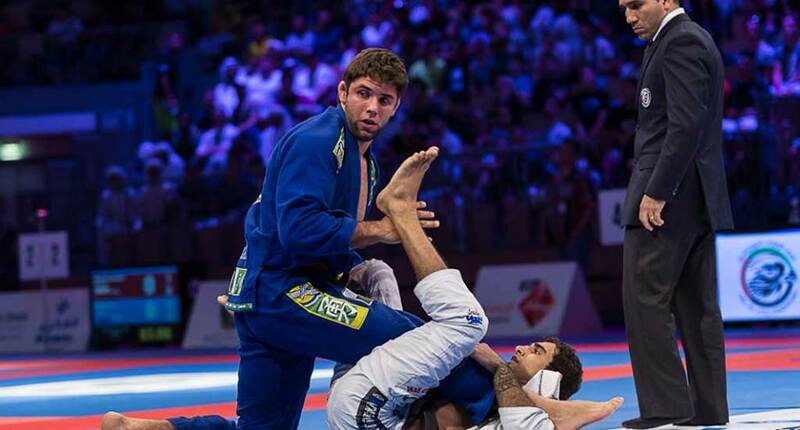 Others who have made a mark in the history of competitive BJJ include Lucas “Hulk” Barbosa, Bruno Malfacine, Xande Ribeiro, Antоnio Braga Neto, Caio Terra, Celsinho Venicius, Lucas Lepri, Michael Langhi, AJ Agazarm, Delson Pe de Chumbo and Claudio Calasans. Newcomers include Marcio Andre, Isaque Bahiense, Victor Honorio, Espen Mathiesen, Edwin Najmi, and Gustavo “Braguinha” Batista.